It is the purpose of The Crystal Silence League to assist you as you achieve optimal life conditions, and to rejoice with you as your desires are fulfilled. 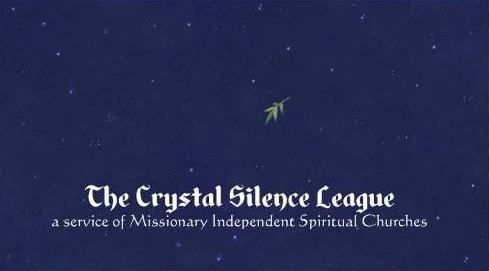 Dedicants of the Crystal Silence League send thoughts and prayers of joy, health, strength, love, success, and protection to all, and, in turn, receive the fruits of mutually supported affirmations and prayers. As the Earth speeds and spins around the Sun, so do the hours succeed one another around this busy globe. As one mind finishes the prayer, another takes it up, always moving Westward, steadily Westward, a torch of Mind passed in a relay-race of Love and Purpose and Will. Catch the thoughts arising from your East each morning; send your thoughts to those abiding West of you each night.